When are you at your best? Where do you shine? Is it in the kitchen trying out a new recipe? Is it out in the garage – repairing and building? Is it throwing a party or hosting friends in your home? Is it making a presentation at work or analyzing data? There are certain people who, when they walk into a room, something happens. When a judge enters a courtroom, everyone stands. When the boss walks in, everyone starts to look busy. When the president makes his appearance, you hear the song, “Hail to the Chief.” When a celebrity walks into a room people begin to point and whisper. Today is a day of great joy. For Christians it is the happiest day of the year as we celebrate the fact that death could not hold Jesus down. The cross is empty and now the tomb is empty too! Jesus is alive! And how could you not be happy to hear that earth-shattering news? There are many paintings of the passion of Christ. 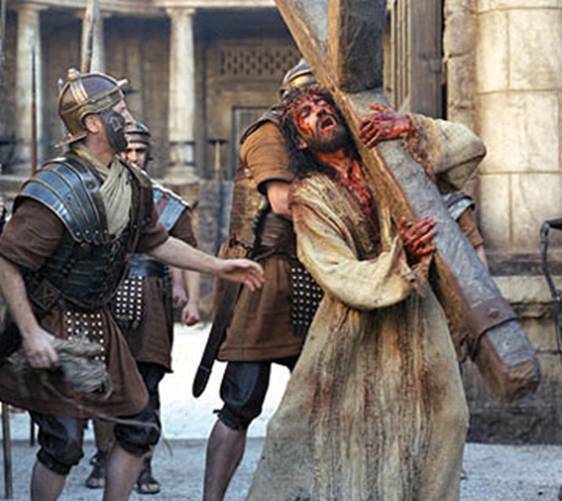 There are several films made of it, the most recent and noteworthy being Mel Gibson’s Passion of the Christ. We have all seen these visual portrayals and had different reactions to them. But today we have no visual, no reenactment. All we have are the words of Scripture from the Gospel of Luke. And I am always amazed that these ancient familiar words have power to create a response in us.